In the last three years, thanks to global donations, it’s been possible distribute 300 million bed nets in sub-Saharan Africa. That’s enough to cover three quarters of the continent. 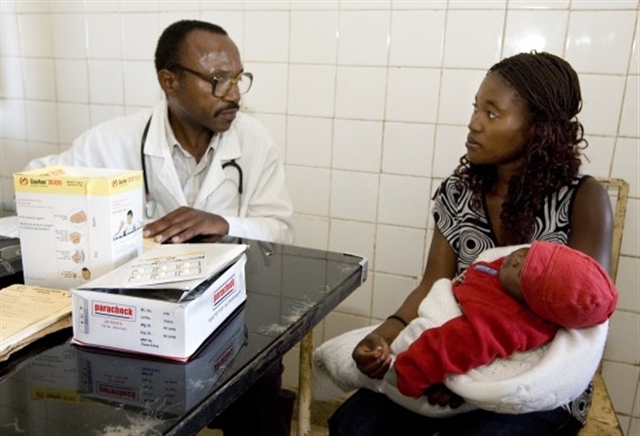 More than 1.1 million children, pregnant mothers and working fathers are alive today because of gains in preventing and treating malaria. Since 2000 the malaria death rate has been reduced by 20 percent. At least 11 countries, where malaria is a high burden, have seen their caseloads and related deaths fall by half. These gains are cause for optimism. They have come because nations and people around the world have been generous, public policy advocacy has been persistent and on-the-ground implementation of sound community-health practices has worked. 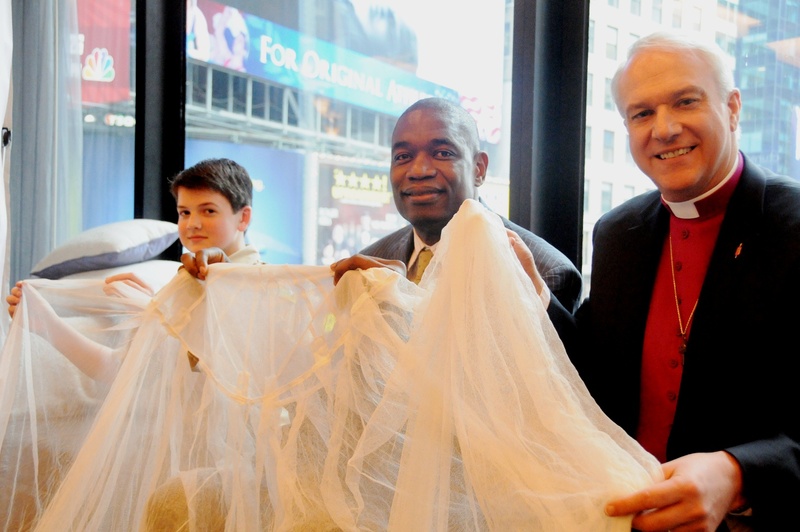 It now appears that the vision of a malaria-free world could be achieved. However, it’s the “could be” in the previous sentence that needs to be highlighted. The gains achieved to date are fragile, and continued progress is not assured. Even with the substantial gains in funding, a significant gap exists between the current level and future needs. A single dose of a malaria drug may relieve symptoms but also result in drug immunity, rendering the drug ineffective in new cases. The parasite is highly adaptable and capable of changing to resist drugs and insecticides. A new parasite strain has been identified and is uncontrolled in a small region of Cambodia, for example, causing researchers to look for new combinations of drugs to treat it and new ways to contain it. Thus, as the theme of Gates Foundation Forum suggested, it’s a time for optimism and urgency. The goal of a malaria-free world looks more achievable than anyone would have expected a decade ago. But the action plan to success will require continuing commitment, attention and funding. The answer to ending malaria rests in leadership, Mrs. Gates said. "Leaders inspire us to do the extraordinary,” she told her audience of 300. "(United) Methodist Bishop Thomas Bickerton believes the meaning of the scripture is the service rendered by millions of (United) Methodists. So his church created Imagine No Malaria. He took something that was none of his business and made it his business with this campaign. Now (United) Methodists from all over have made it their business too, by donating to this cause," she said. Gates said she is filled with optimism about what can be accomplished. She noted that the use of bed nets has dramatically reduced deaths caused by malaria, but she cautioned that "we are at the very early stages of this disease" and that a prolonged, sustained effort will be required to prevent reversing the positive trends. To read more from the Malaria Forum sponsored by the Bill & Melinda Gates Foundation, see this report from the United Methodist News Service. 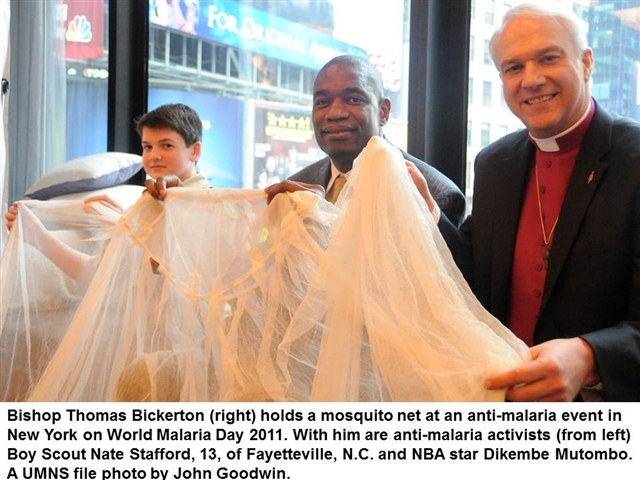 And to learn more of about the progress made to date and the challenges that still lie ahead, please see the Making Progress post on the official Imagine No Malaria website and this UMNS update on the how the church is attacking malaria on several fronts.